Book Singapore City Tour Hop On Hop Off Bus (2 Day Pass) and join this tour for free! The tour was really fun and the tour guide is very accommodating! 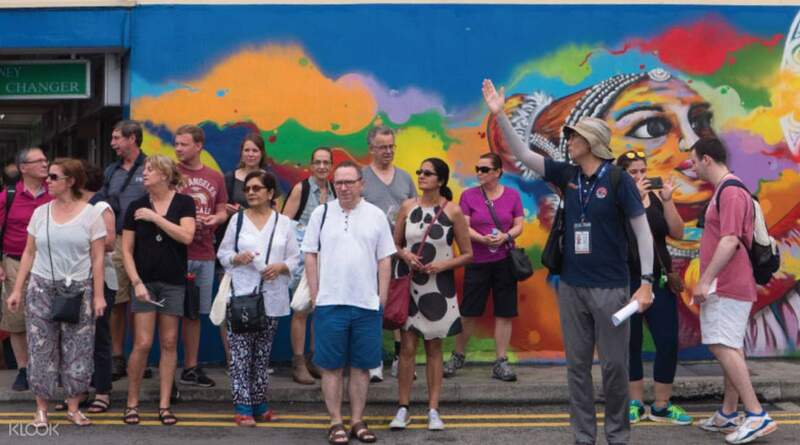 Savor the magic of Little India with this 2 hour walking tour of the beloved ethnic precinct. 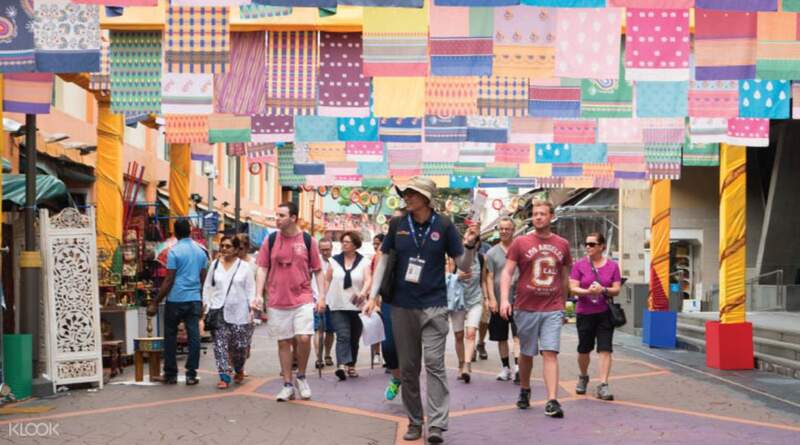 Follow your expert local guide into narrow streets, through pre-war shophouses. Browse along the five-foot-ways where vendors peddle spices, gold, flower garlands, and saris. Explore the wet market and visit booths selling fresh fruits and veggies, spices and fresh meats. 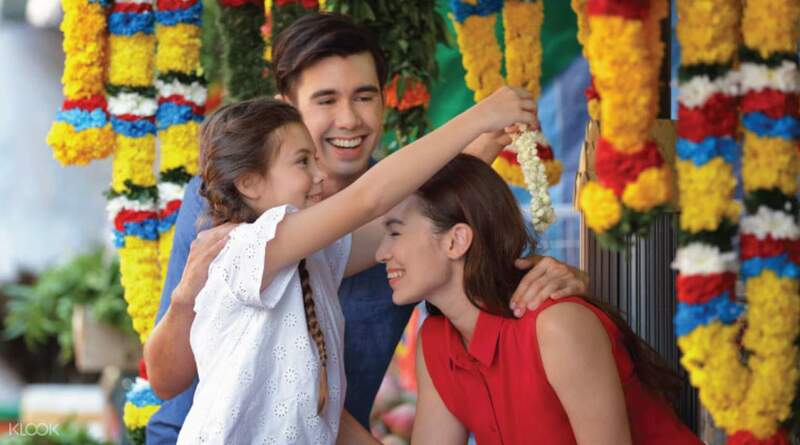 Sample some local Indian pastries and visit the popular Sri Veeramakalimamman temple to experience the rich culture of the Indian community in Singapore - a great way to get acquainted with one of the many cultures in the country. This walking tour is worth it! Our guide Burnette did a great job of getting us through little India. He also had great suggestions for picturisque views and instagramable sights. This is a must for first timers in Singapore. This walking tour is worth it! Our guide Burnette did a great job of getting us through little India. He also had great suggestions for picturisque views and instagramable sights. This is a must for first timers in Singapore. The tour was really fun and the tour guide is very accommodating! The tour was really fun and the tour guide is very accommodating! The tour guide is very professional and enjoyed a lot during the trip. The tour guide is very professional and enjoyed a lot during the trip. I'm a traveler and we love joining tours. Hence, our experience with this tour is not at all pleasant. We were really looking forward to a more historical and informative little India tour. The talk about the barter trading of China and India in the past was OK whilst sitting down prior the tour. However, the stopping at irrelevant places is not discussing shallow things. To our tour guide Aaron (not quite remember), i wish you have a more informative tour even if we are walking or just plain sight seeing, talk about the colors, the walls, the architecture, the pavement, the stores, the culture about their body art and clothing, wedding, family, traditions about why they sell items of some sort and not just the spices, foods/desserts, snacks, etc etc., In fairness i understood why they sell those flower garlands and the restaurants A-B-C bracket. Oh and what also dismayed us was the part where you asked for tips and gave figures. It's a little straight forward i guess, whereas if you gave a proper informative, lively and fun tour about little India it would be automatic and from our hearts not forced. After the tour we were hungry and wanted to eat but didn't quite know what to order. A little information about the food some restaurants offer would have been really helpful. I'm sure there are other tour guides there that gave good inputs so don't let this remark/rating stop you from touring little India. It was a cool place to explore. I just hoped the guide did better. I'm a traveler and we love joining tours. Hence, our experience with this tour is not at all pleasant. We were really looking forward to a more historical and informative little India tour. The talk about the barter trading of China and India in the past was OK whilst sitting down prior the tour. However, the stopping at irrelevant places is not discussing shallow things. To our tour guide Aaron (not quite remember), i wish you have a more informative tour even if we are walking or just plain sight seeing, talk about the colors, the walls, the architecture, the pavement, the stores, the culture about their body art and clothing, wedding, family, traditions about why they sell items of some sort and not just the spices, foods/desserts, snacks, etc etc., In fairness i understood why they sell those flower garlands and the restaurants A-B-C bracket. Oh and what also dismayed us was the part where you asked for tips and gave figures. 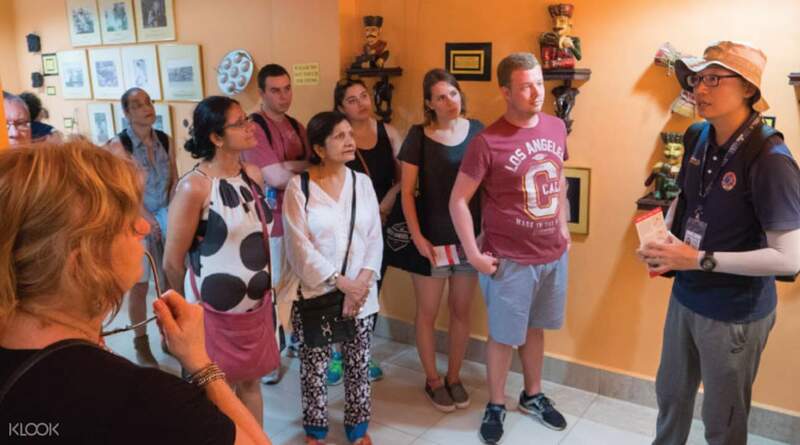 It's a little straight forward i guess, whereas if you gave a proper informative, lively and fun tour about little India it would be automatic and from our hearts not forced. After the tour we were hungry and wanted to eat but didn't quite know what to order. A little information about the food some restaurants offer would have been really helpful. I'm sure there are other tour guides there that gave good inputs so don't let this remark/rating stop you from touring little India. It was a cool place to explore. I just hoped the guide did better. Thank you for choosing Klook and taking time to leave us a review! We are very sorry to hear about the inconvenience you experienced. Rest assured, this is not the type of service which Klook offers or permits our local operator to provide. We will surely raise this matter to the product manager and local operator to improve and provide an excellent service to all our customers. Thank you once again for your valuable time spent in leaving us a review. Thank you for choosing Klook and taking time to leave us a review! We are very sorry to hear about the inconvenience you experienced. Rest assured, this is not the type of service which Klook offers or permits our local operator to provide. We will surely raise this matter to the product manager and local operator to improve and provide an excellent service to all our customers. Thank you once again for your valuable time spent in leaving us a review. We waited outside the Indian Heritage Centre from 10 to 1045. The guide NEVER showed up. We tried to call the local agency but could not get through. Very bad management and communication. We waited outside the Indian Heritage Centre from 10 to 1045. The guide NEVER showed up. We tried to call the local agency but could not get through. Very bad management and communication. Even though the weather was hot, the guide (Just) was very passionate about ~ explanations were fun, and it was a great opportunity to see Little India as a whole, centered on Serangoon Road. I learn a lot about Hinduism. 날씨가 더웠는데도 가이드(저스트)분이 아주 열정이 넘치셨습니다~ 설명도 재미있게 해주셨고, 세랑군로드를 중심으로 리틀인디아를 전체적으로 둘러보는 좋은 기회가 되었어요. 힌두교에 대한 지식도 많이 배워갑니다.